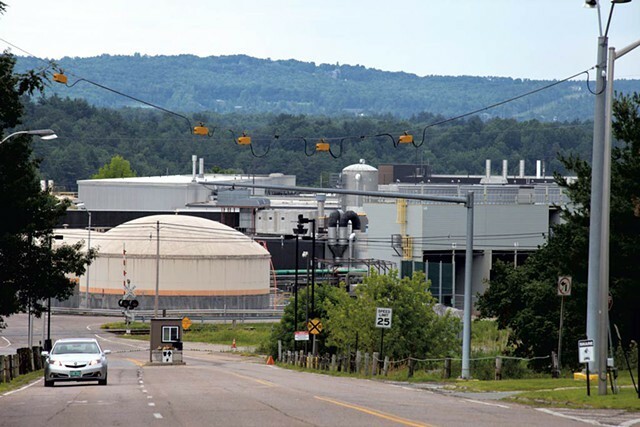 In a surprising twist in the IBM/GlobalFoundries negotiations, Bloomberg News reported this morning that IBM was actually willing to pay GlobalFoundries to take its faltering chip manufacturing division, which includes its Essex Junction plant, off its hands before talks collapsed. The entrance to IBM's Essex Junction plant. In months of reporting on talks between the companies, speculation centered on IBM, which is evolving into a services-oriented company, trying to sell its chip-manufacturing business to Emirate of Abu Dhabi-owned GlobalFoundries, which specializes in chip-manufacturing. Bloomberg reported that the two companies were nearing a deal before talks collapsed in July. But the nature of those negotiations may have been misunderstood. "IBM’s willingness to pay underscores the urgency for Chief Executive Officer Ginni Rometty to get less profitable businesses off the books," Bloomberg reported. "Even so, letting the deal unravel shows Rometty wasn’t willing to exit at any cost." "With the talks breaking down, the chip-manufacturing business will continue to weigh on IBM’s profit. The unit loses as much as $1.5 billion a year, a person familiar with the matter said in June. Rometty is striving to meet 2015 earnings goals after nine straight quarters of falling revenue." The story did not detail why IBM would choose to spend a chunk of change offloading the chip-manufacturing division, instead of shutting it down, though Bloomberg noted that, under the original talks, GlobalFoundries would have acted as a supplier for IBM's microprocessors.